Exam time can be a stressful time for the whole family. We wanted to provide a simple explanation about some of the Frequently Asked Questions we receive around results and the meaning behind some of the commonly used acronyms and phrases. We would like to firstly note that League Tables, which have become widely used as a simple measurement of results in the media, rank schools based upon single measure metrics. However, schools provide a range of opportunities that are not reflected in many of these tables including service learning, work experience, tours, camps and the like. Different practices between schools regarding scholarships, pathways and subject selections also mean that results are not comparing like for like. As St Stephen’s believes in the holistic education of a child with both academic achievement and student wellbeing being central to what “success” looks like for a Year 12 graduate, perhaps amore accurate table or statistic to look at for university-bound students is what percentage of students got into university. · What are the league tables? 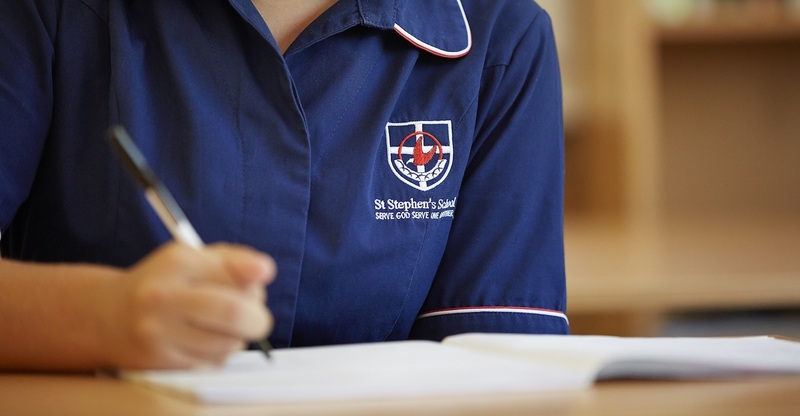 While some find merit in the single metric measurements of league tables, at St Stephen’s, we find they only provide a limited snapshot of achievements and do not reflect all students who undertake Year 12 studies in different areas. Since 2016, the three tables commonly reported on are: the percentage of students obtaining a WACE, the median ATAR and schools’ performance in VET (this is the percentage of students who achieve a Certificate II or higher compared to those who attempted it is the metric - in the last few years St Stephen’s has been achieving a 100% rating in this space). · What is the WASSA? All students receive a Western Australian Statement of Student Achievement (WASSA) when they complete Year 12. The WASSA was introduced to WA in recent years to bring the State’s reporting in line with the rest of the country. It formally records a student’s achievement in every course, qualification and program completed in senior secondary schooling and provides evidence of achievement. · What is the WACE? The West Australian Certificate of Education (WACE) is awarded to students who have successfully completed senior secondary schooling and have met the specific WACE requirements. These include either achieving an ATAR score (complete at least four Year 12 ATAR courses) or a Certificate II (or higher) in a Vocational Education and Training (VET) qualification, plus meeting literacy and numeracy standards, grade standards and studying a breadth of subjects. More information about the requirements can be found on the School Curriculum and Standards Authority website at senior-secondary.scsa.wa.edu.au. · What is ATAR and how is it calculated? ATAR stands for Australian Tertiary Admission Rank. It is used to rank students who wish to enter public universities in Australia relative to one another. Find more at www.tisc.edu.au/static/guide/atar-about.tisc. The ATAR is calculated by averaging moderated school marks and examination marks to determine a combined course mark. These scores are then standardised and then scaled. · Why is calculating the ATAR so complicated? The statistical processes used are done in the interests of fairness for all. Moderation of school marks occurs to ensure that students are neither advantaged or disadvantaged as a result of differences in the standards of assessment and marking that occurs within different schools. Standardising marks is to compensate for variations that may occur in the difficulty of particular examinations from year to year. Scaling takes account of the ability of students undertaking different courses to ensure that students taking difficult courses are not disadvantaged or advantaged if they take an easier one.